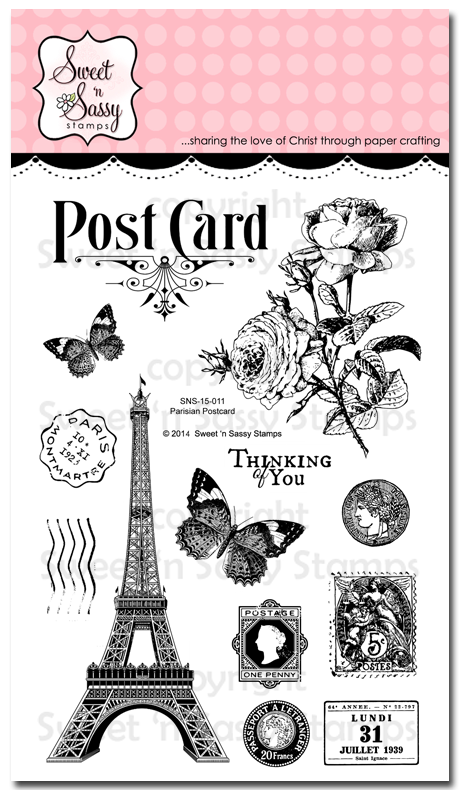 It’s with great joy and excitement that I share with you my very first clear stamp set called Parisian Postcard, being released today by Sweet ‘n Sassy Stamps.That is right! Sweet ‘n Sassy is celebrating their January release with an inspirational blog post and a GIVEAWAY! I invite you to stop by their blog today for a chance to win my new set! But wait, there is a second opportunity to win the new Parisian Postcard stamp set… Have you checked my Season’s Givings Blog Hop post? Well, check again! The new set’s image has been added and to win it all you need to do is subscribe and leave a comment! Remember to check the amazing projects created by Sweet ‘n Sassy Stamps talented designers. I know you’ll love what they’ve made (HERE). This new stamp set is available for purchase now! So click here and add it to your stamp collection! While you’re there I invite you to check the rest of the new January release too! And since this is a celebration, I am sharing an exclusive freebie with you today, which will only be available for FREE download in the next few days… It’s a digital paper based on the Parisian Postcard stamp set’s theme! Be sure to click on the freebies tab (on top) to download the full size file! I hope you like both the new stamp set and paper! I look forward to reading what you have to say about my stamps. Thanks for your support and comments! Wow, I didn't realize you designed stamps! These are beautiful! Congratulations – this is very exciting! Gorgeous freebie paper too – I couldn't find it under your freebies tab, but I'll try to remember to check back later. Congratulations on your first stamp set being released! SO exciting for you and it is lovely. Great work and here's to many more new releases for you! Wowho, I know a star…lol…but what a gorgeous set Gracie…wow…I had no idea, I knew you were/are very talented but your own stamp line, how cool is that, and it is GORGEOUS…congrats to you!!! wow, this paper is gorgeous! I too say WOW! and CONGRATULATIONS! What a wonderful accomplishment and it is GORGEOUS! Thanks for the beautiful freebie too … this style (as you know) is right up my alley! Best of Luck in this new adventure!! it's a gorgeous set! Love the roses! Very nice stamp set and the paper is lovely. Gorgeous, will have to go get this as that's my kind of a stamp, you are very talented to be able to design a stamp set, have you done others? Wow…just WOW!!! Congrats on your new stamp set. I cam hardly wait to see what you come up with next. Thanks for being such an inspiration to me and to everyone else who has seen your creations. Congrats again!!! 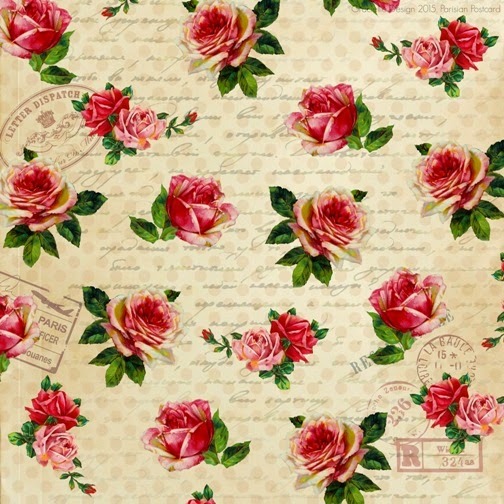 Gorgeous paper, love the stamps. Encore une fois, SUPERBE!!! Gracie, congratulations on your very first stamp set!! It is gorgeous and delicate which is a hallmark of your work. My very best wishes for many more to come. The paper is beautiful! Such a pretty stamp set. Great stamp set and gorgeous paper. Thank you for the freebie! I subscribed to you blog during the Seasons Greeting's blog hop and I am glad I did, you do some fabulous work. Beautiful stamp set! I love it! I didn't share a card today but I have one ready for the blog on Tuesday! Hello! I love your stamp set! I had so much fun playing with it and I know I will treasure it for a long time to come! There are so many possibilities with all the gorgeous designs in this one set. Thanks for sharing your talent with us. I am thrilled to hop over here and get to know the artist that designed the stamp set I so enjoyed using! Your paper is gorgeous too!